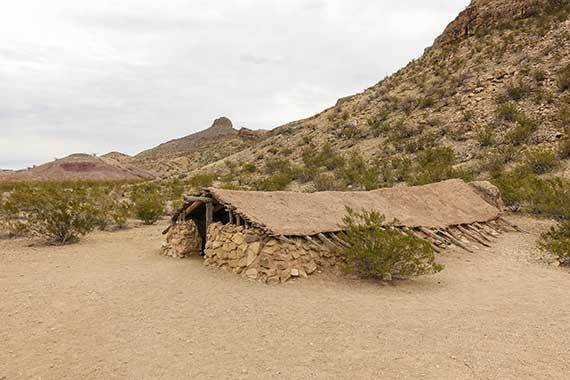 When travelling down Old Maverick Road in Big Bend, you’ll notice a low stone building sitting at the base of a small mountain (Pena Mountain), about six miles south of the Study Butte Entrance Station on the West side of Big Bend National Park (29.2154981, -103.5349391). 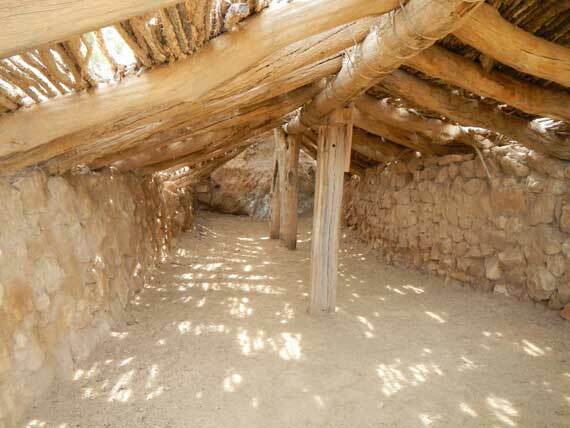 This small 3-4 foot high building is Gilberto Luna’s Jacal (a Jacal is a wattle and daub structure used as a home, typically found in the Desert Southwest). Gilberto Luna built his Jacal some time around 1900 and lived and raised a large family there until his death at 109 years of age in 1947. Some accounts say that he raised upwards of 58 children and step-children, with most being raised in Mexico, prior to him moving into the Big Bend Area. Luna’s Jacal is made out of limestone and sandstone blocks with a large flat boulder at the rear of the building. The roof is made out of ocotillo branches held up by larger poles. It was placed on the National Register of Historic Places on November 8, 1974. In reviewing their records online, it says that the use of soil cement on the roof was “discordant and blatantly not a faithful restoration of the structure,” but you’ll get the idea of what it’s supposed to look like when you go visit. One thing you’ll notice when you go inside is the temperature difference. With his Jacal built into the ground like it is, the temperature varies fairly dramatically between the hot sun outside and the cool shade on the inside. 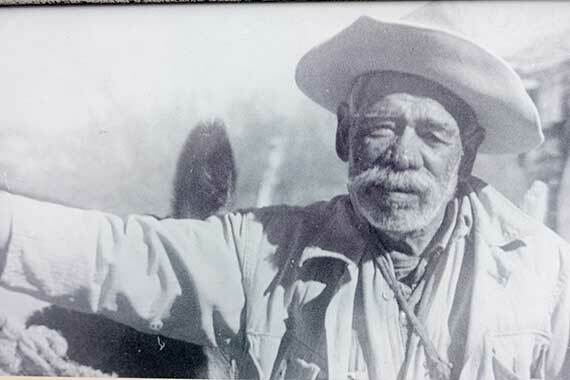 The National Park Service says that he was there during the time of the Comanche War Trail, but a differing account by his grandson puts him there almost fifteen years after the last band of Comanches were moved to Fort Sill in 1874-1875. Regardless of whether or not there was a Comanche War Trail running through his backyard, Mr. Luna must have been a tough old man. The Big Bend Country is unforgiving, scratching out a living farming the dry, dusty ground out there takes a special kind of grit. I recommend stopping by Luna’s Jacal if you make it out to Big Bend. When you’re there, try to imagine yourself living in this inhospitable land. It’s best to get out there when nobody else is around so you can get a better idea of what life was like here. Turn off the engine to your car so the silence is more complete. You might even try parking it out of sight. Be quiet and listen to the wind. Take a seat and look out over the desert. Gilberto Luna did that for most of his life. Big Bend is as much about the history of the hearty people that settled there as it is about the desert. We have viewed this many times along with many other historic things in bbnp. We love going there ,& we are in our 70s. We travel all over the US, but we can never wait to go back to bbnp & spend 2to3 weeks. We park our M/h in Alpine village, then take our 4X4 to all the neat placeses the park has to offer. Have been there 11 times,& each time we see something new & different. The last time we really got lucky, in 3 days we saw 3 bears & a mountain lion all in less than 200 yards. We can’t wait to take delivery of our new Rubicon– you guessed it, we heading strait to bbnp as soon as we have a few miles on. Hope it will not be too hot. Oh well run the power unit, & the Jeep has a/c.